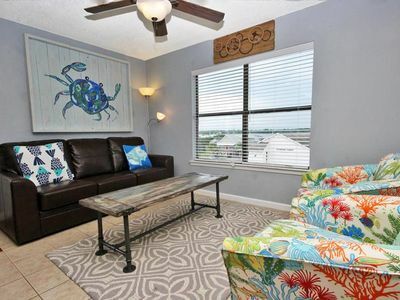 This condo has been freshly renovated and is available! There are new floors, furniture, stainless appliances, Keurig, and decorations. 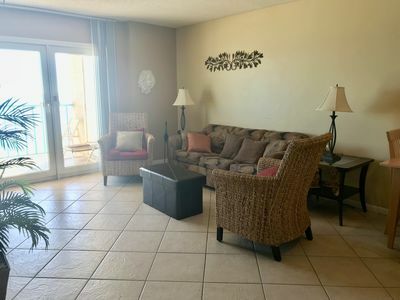 The living room is spacious and family friendly with a clear, sliding glass door that leads to the private, tiled balcony with breathtaking views. 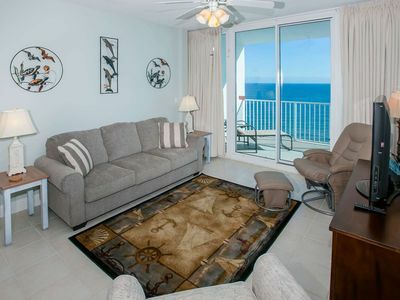 You can relax on the patio furniture and watch the sunrise and set and look for dolphins. The new master bedroom is very serene with another glass door leading to the balcony. The sound of the ocean is very relaxing at anytime of day. The second bedroom will be completely remodeled and decorated and has a queen bed. The third bedroom has also been remodeled and offers two twin beds. Every room has a flat screen tv with cable and a dvd player. Wireless high speed internet is offered, also. All counter tops throughout the condo are granite. The kitchen offers everything you would need to cook with and feel at home, including a Keurig , a coffee pot, and new stainless appliances. 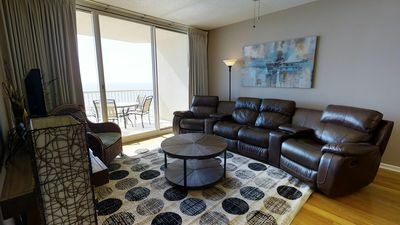 The condo is family friendly, offering a playpen (must provide sheets), a booster seat for the dining table, and plug covers throughout the condo. You should feel comfortable with plenty of storage space offered. A washer and dryer is included. We are located on the eleventh floor and very close to the elevators. 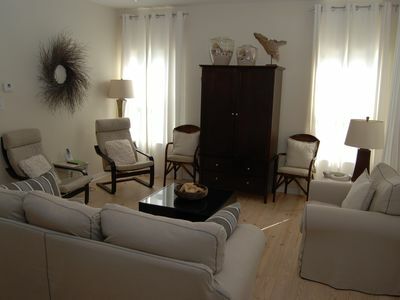 Spectrum, the on-site management company manages this condo. 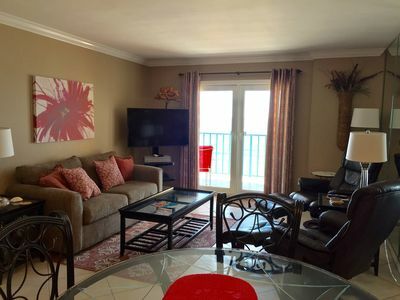 When renting this condo you get all of the Spectrum advantages along with the club pass. It gives you access to all of the club amenities. The resort fee is a total of fees charged by Spectrum, The Beach Club's on-site management company. They will help us to make your stay MUCH more convenient. If you need anything with housekeeping or maintenance, they are available. They will provide a lot of necessities such as fresh clean sheets and towels, shampoo, soap, conditioner, coffee, dish soap and sponge, dishwasher detergent, laundry soap, trash bags, paper towels, toilet paper,etc. You will find that it will be very convenient to check in and pick up your keys and parking pass! Some of the Beach Club Pass benefits are listed below. We cater to making our customers happy. 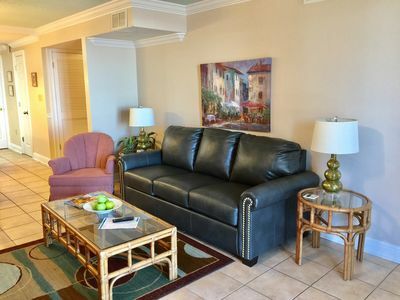 We want you to feel pampered and relaxed while vacationing in our exquisite condo, yet still comfortable. We will meet your expectations when it comes to the quality of accommodations and service. Please feel free to contact us with any questions! 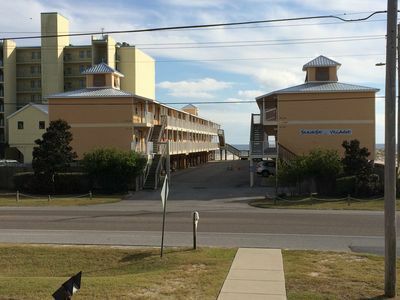 The Beach Club is the only full service resort along the Alabama gulf coast. 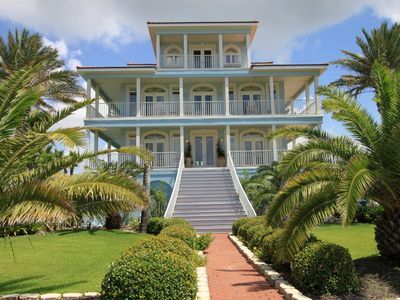 This luxurious, gated resort offers amazing views, being on 86 acres of white sandy beach. They cater to all ages, making it family friendly, yet adult friendly at the same time. 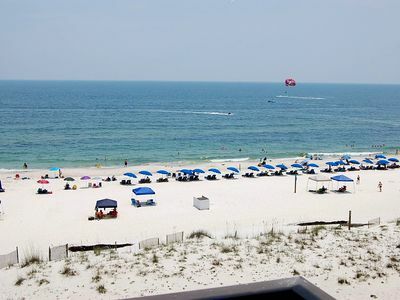 Enjoy your favorite costal cuisine witgh 10% off of all food and beverages for Spectrum Resort Guests! No need to wake up early to reserve your beach chairs for the day. 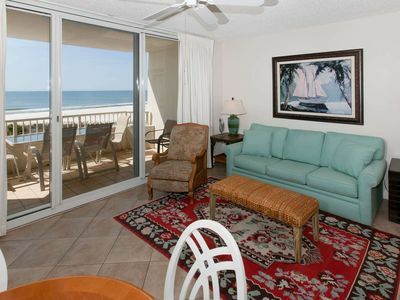 Only Spectrum allows you to book your beach chair rental in advance. Go ahead and sleep in. You are on vacation. Need a tee time? Dinner reservation? Fishing charter? Our fron desk is happy to make recommendations and handle your arrangements. Oh, and there is no need to stop miles away to pick up and drop off your keys. On-site check-in/out provided exclusively by Spectrum. Need extra towels? Forgot your toothbrush. DVD won’t play? Give Spectrum a call and they will be right there to assist. There is on-site maintenance and housekeeping. 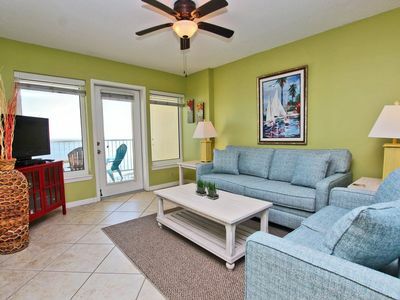 After a long, relaxing day at the beach, who wants to wait hours on a table for dinner? Only Spectrum guests can make dinner reservations to avoid possible wait times. Participate in as many or few on-site activities as you like. It is included in your stay. Don’t worry about carrying around you wallet or purse. Enjoy the convenience of charging directly to your room folio. Take time to rejuvenate the body and mind while on vacation. Available only to Spectrum guests, reserve your spa experience in advance. As the summer sun heats up, a private poolside cabana is ideal for taking a break from the heat while still keeping an eye on the kids enjoying the outdoor pool. Only Spectrum guests can reserve their cabanas in advance. Looking to practice your backhand, or participate in a tennis clinic with Spectrum’s tennis pro? As a Spectrum guest, reserve your court before arrival. Play Pebble Beach, Pinehurst, Torrey Pines? Spectrum guests receive 15% off our world class golf simulator Challenge with family and friends. After a long day on the beach, grab some pizza and a DVD to enjoy with the family. Only Spectrum guests have access to unlimited DVD rentals. Do you want to get out of the sun for a while? Enjoy the wonderful indoor pool at the club. You will probably find that you will have everything you need here and won't want to leave too often. There is not much comparison to other condos, being that The Beach Club is more private and luxurious, catering to almost any need. 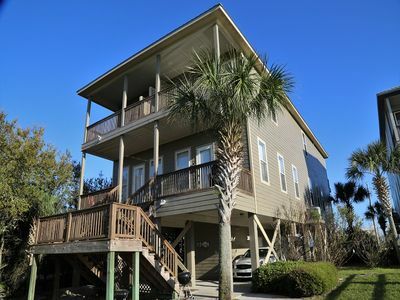 There are 2 golf courses, restaurants, a marina, gift shop, and convenience/liquor store within 5-8 miles of the complex. 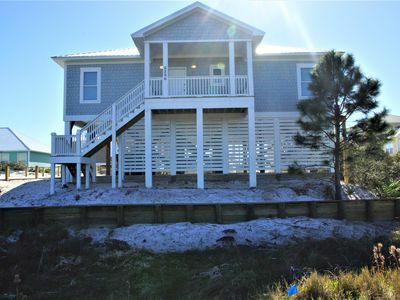 About 12 miles down the road will take you to Gulf Shores with tons to do! 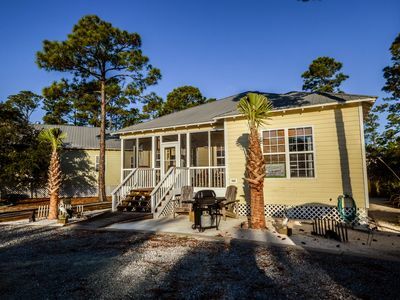 They have several restaurants, fast food, shopping, a zoo, putt-putt, a water park, go-karts, bungee jumping, para sailing, an outlet mall, pizza parlors, ice cream shops, and so much more!!! 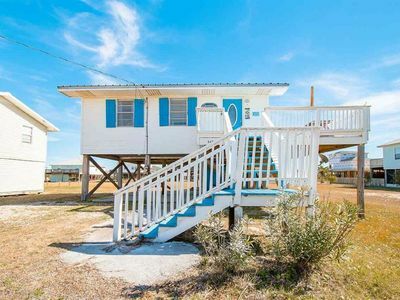 Close to the resort you can also find the Bon Secour National Wildlife Refuge, the Fort Morgan Historic Site, and the Mobile Bay Ferry to Dauphin Island! You have found your Happy Place! 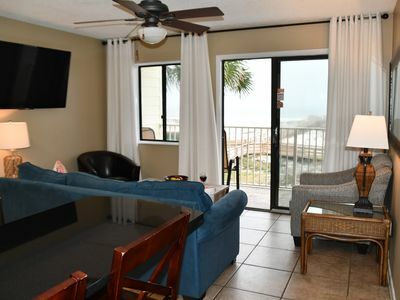 Enjoy the Beach ~ Must be 21 to Book! 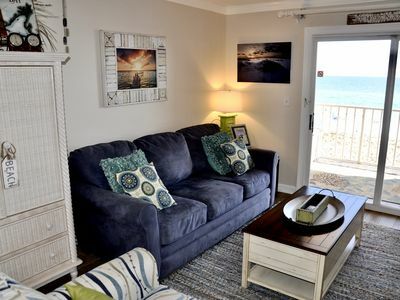 Lighthouse 1612 - FREE GOLF, FISHING, DVD RENTALS, WATERVILLE AND ESCAPE ROOM TICKETS! 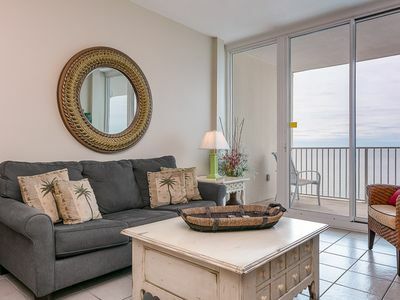 Four Bedroom Condo in Alabama! 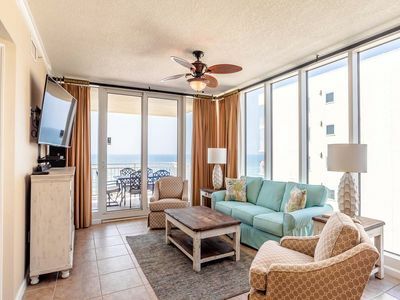 Private Balcony Overlooking Gulf Of Mexico! 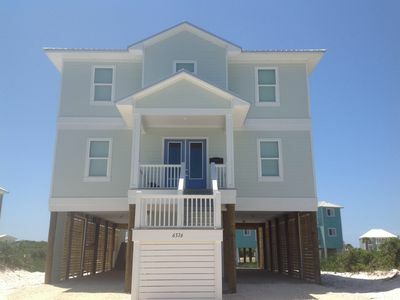 Easy Access to the Gulf of Mexico & The Mobile Bay!